The axe fell sooner than we expected. Weekly Citizen predicted that interim UDF chairman Hassan Osman would be sacked for lack of integrity and sabotage activities. That has come to pass with his summary dismissal by the party NEC organ. But even before the dust could settle, the Political Parties Dispute Resolution Tribunal reversed the decision to suspend Osman and executive officials terming the move as unprocedural and unlawful. UDF top organ is now blaming Deputy President William Ruto as having influenced the tribunal to reverse the decision of the NEC. 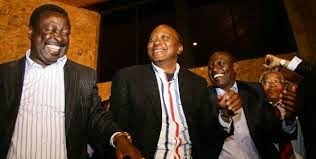 It has been whispered that Ruto’s game plan is to have Hassan and his group kick out Mudavadi and his deputy, former Ndaragwa MP Jeremiah Kioni and to render them party less. Sources say it was through Ruto’s advice that Hassan set up a legal team led by lawyer Hassan Lakicha who moved under certificate of urgency and sued Mudavadi for failing to follow the laiddown procedures in the removal of the party’s chairman and executive committee members. Investigations by Weekly Citizen now reveal that after the NEC meeting that purported to have suspended him, Hassan is said to have consulted widely including reaching out to Mudavadi’s political opponents. 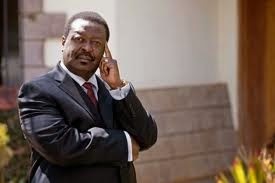 Last week, he and his team were busy setting up a new office after the Mudavadi group kicked them out. Interestingly, Hassan could be unaware of the misfortune that the thin circle of former officials hovering around him early this month had secretly signed a petition for his removal. What is keeping them around is the hefty handouts whose source is unknown to them. But they are busy distancing themselves from his actions in droves. Trouble for Osman began sometimes in March this year following a heated blamegame between Hassan and Senator Martha Wangari who is treasurer and the CEO Petronila Were over a raid at the UDF offices. At the retreat in Naivasha, Hassan teamed up with Were in accusing the senator of organising the raid. However, in confessing, Martha instead accused Hassan of dishonesty because the chairman knew the property had been taken to the “owner” who turned out to be a former State House official. Back to Omar’s sacking, the ransacking of the party property only formed part of the reasons he was shown the door. Documents in our possession reveal a plethora of accusations touching on Hassan’s integrity, lack of transparency and accountability in running party affairs, disrespect to other party leaders and MPs and sabotage of party activities. It was revealed that the chairman had never signed NEC minutes that would prompt action by the secretariat for the last two years. This meant that no party programme takes off and therefore UDF had become moribund. Stories abound how he sabotaged the women from Mandera by ensuring they do not attend a sponsored training. That things could get this bad in UDF and why they have been tolerated for so long beats reason, remarked, Roba Duba, UDF party whip who read the statement to the media disowning Hassan on behalf of MPs. What perhaps irked the party most was a letter that called MPs to whom Hassan owes his nomination busybodies, strangers and masqueraders in the party. In a press conference, Omar labelled decisions to rebrand the party as tribalism. He also said he is opposed to delinking UDF from Jubilee cooperation agreement where he has been a most vociferous proponent to revoke it. Many were shocked that a man who brought no votes and seats to UDF continues to throw insults at those who are his benefactors. UDF MPs also questioned his level of honesty when it emerged that he could be one of those claiming millions in false mileage thus soiling the name of the party. Another ghost that has now returned to haunt Osman is a claim that he is unable and had blocked accounting for Sh13.5m in nominations fees. 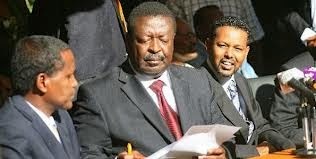 On removal of Osman, Mudavadi chaired a meeting and a list of new party officials was released. This is the list that has been blocked by the Political Parties Dispute Resolution Tribunal. The list comprises of Party leader Musalia Mudavadi, deputy party leader Jeremiah Kioni, chairman Kassim Sawa, 1st deputy chairman Yare Mohammed, 2nd deputy chairperson Jane Marwa, secretary general Justus Kizito Mugalla, deputy secretary general George Nyamweya, treasurer Martha Wangari, deputy treasurer Ndiritu Muriithi, organising secretary Basil Mwakiringo, deputy organising secretary Naisiae Karia, Hassan Dukicha, chairman UDF party representatives group, Duba, chief whip of party representatives group. Women league leader, Beatrice Adagala, youth league leader, George Thuranira and chairman national election board, Abraham Limo. Immediately the changes were made, Mudavadi reached out to his supporters to back the move and on the same evening, university students and UDF youth democrats from Vihiga county hurriedly called a press conference and issued a statement in support of the move. The statement reads in part: “We take this opportunity to thank the UDF party leadership for the tremendous changes carried out to strengthen the party across the country. We are in solidarity with all Kenyans who have sighed relief at the exit of Hassan Osman”. In the statement, the students said: “The UDF party belongs to members not a group or individual. Anyone imagining that UDF members will watch as their party is cannibalised is dreaming. Hassan has also no muscle to attempt a coup against our respected party leader Musalia Mudavadi”. The students blamed Hassan for frustrating their efforts to popularise the party. “Hassan made sure our efforts to popularise the party never took off. Even efforts to carry out youth elections were sabotaged”. Following Hassan’s removal, the UDF parliamentary group also met and endorsed the NEC’s resolution to suspend Osman. The statement reads in part. “We would like to thank the party NEC for acting expeditiously on our petition against Hassan Osman, nominated UDF MP. We appreciate that the new national leadership now represents the face of Kenya”. During the stormy parliamentary group meeting, sources say that speaker after speaker stated that Osman has turned rogue and had lost their confidence and support long time ago but they held their horses hoping he would reform his wayward ways of undermining the party. The statement reads: “Hassan is not a grateful person. After being nominated on the strength of our being elected, he has chosen to abuse the privilege by insulting UDF members of parliament. Hassan brought no single seat to UDF yet he had embarked on killing the party”. It was further revealed that Hassan has been incompetent and a saboteur to the extent that he never signed minutes of NEC for over two years yet he was the chairman. This is the main reason why the MPs were not satisfied with his removal alone, but demand that his nomination be recalled. The PG also sent warnings to other nominated leaders that their days were numbered. One MP was quoted saying during the meeting that “Hassan is an extremely dishonest person. Not satisfied, with using his party position to win financial favours, we are aware that he was in the process of auctioning the party”. The legislators also demanded that Omar accounts for the Sh13.5 nomination fees in the past election. They are now demanding that the party leadership to get to the bottom of the matter and ensure there is accountability and transparency. “We know he has godfathers who have been funding his sabotage activities like bribing NEC members to skip meetings. We send warning to them; toe the party line or quit. We now want the party rebranding now that Hassan has attempted to block the kick off in earnest”. Reads the statement: It has also been reported that Hassan had sabotaged NEC decisions despite chairing and participating in meetings that approved the same. It is further alleged that he had on several occasions gone against NEC approvals by refusing to sign minutes of NEC meetings without cause. They now say that this has delayed the implementation of NEC resolutions and consequently stalled party programmes. “The restructuring and harmonising of party branches never kicked off despite NEC approval. For example the restructuring of Vihiga branch that was approved by NEC has not been implemented creating disharmony in the most important party stronghold”. They claimed that Hassan had undermined NEC meetings and the confidence of members in the party leader through disinformation and outright lies to NEC members. He had been accused of mobilising NEC members to attend the Maanzoni Lodge with a view to sabotaging the retreat by lying to members that they were about to be replaced. He also mobilised non-attendance by NEC of the Sentrim Retreat under false information the intention was to take over the party from its “founders” and that Hassan has continued to sabotage key decisions made by the various party organs which he has been party to. It has been noted that Hassan chaired the MCAs retreat in Lamu that agreed to include MCAs in political council and NEC. However, he has acted in a manner suggesting that he was not party to the decision and created a wrong impression that the decision was made by the party leader. Even after NEC later approved the matter, Hassan has delayed the implementation of the same by delaying and/or refusing to sign minutes. “The chairman has displayed disrespect, insubordination and contempt for the party leader through utterances and actions that undermine the office. He has constantly countermanded the party leader’s functions under articles 8.5.1 and 10.2(f)”. Another thorny issue is that by consensus, Osman committed not to participate in the Political Parties Liaison Committee elections by assuring the party leader and the NEC had the support for the candidature of Petronila, the CEO. He instead went against such immense trust, connived and presented himself as a candidate. The party ended up having two candidates prompting compromising the party image and the party ability to win the strategic and important position. “The above are deliberate acts of insubordination, untrustworthy and disrespectful conduct to undermine and impair the NEC, party leader and membership at the behest of external forces contrary to and in breach of rights and duties of members in Article 6; and abuse of office in the chairman’s responsibilities provided in Article 10.4". Back to the new officials, a statement after Hassan was suspended reads in part “This list has been submitted and approved by the Registrar of Political Parties. Anyone not listed in this line-up should not act as UDF party official. This decision to change national officials has been a relief to that party. We have had to persevere with incompetence, insubordination, disrespect, insults and sabotage”. The party is now preparing to embark on rebranding and restructuring in preparation for an NDC. Towards this end, party branches are instructed to beginning the process in earnest by filling vacant positions and cascading the same to sub-branches and wards. On referendum, a statement from the party’s top organ said that UDF neither supports the grand standing of Cord nor intransigency of Jubilee on the matter of the referendum, but support the need for rationalised and funding of devolved government. This will be achieved at the National Constitutional Conference to audit the gaps in the implementation of the constitution with the view to isolating the issues that can be tackled through parliamentary initiative and those that would go to a referendum. “This would ensure a national consensus on a wholesome review of the constitution instead of piecemeal changes. For us in UDF, we do not want competition that balkanizes the country,” said Kioni who is also the UDF deputy party leader. During the meeting, it was the Lugari MP Ayub Savula who rose on a point of order requesting the meeting to postpone more presentations by facilitators to allow the meeting to discuss the conduct of the party chairman on various matters including incompetence, sabotage, disrespect and contempt for the party leader and undermining the party and its leadership through actions not limited to refusal to sign NEC minutes therefore compromising party activities. Upon ventilation by members, the meeting agreed that the matter was of crucial importance and needed thorough discussion. The chairman, however, pleaded that those specific allegations be spelt out. It was then agreed that the matter be listed as a substantive agenda item after guest facilitations have finalised. When the agenda came up later, the following were read out the allegations from members for the record. The rebranding of the party as approved by the NEC has stalled because of chairman unwillingness to sign relevant minutes/documents to kickstart the process. The restructuring and harmonising of party branches never kicked off despite NEC approval. For example the restructuring of Vihiga branch that was approved by NEC has not been implemented creating disharmony in the most important party stronghold. In response, the plenary was unanimous in support of the allegations as read out and in his reaction, the chairman; however, refused to respond to some issues read out saying the accusations were by “strangers” as derogatory statements were noted in the chairman’s responses. The chairman claimed that accusations against him were “useless” as he was only answerable to “80 members who put me in this office”. The statement by the chairman was taken to mean he owned the party and other party members had no say in it. A member wondered if the chairman meant even the party leader present had no say in party affairs. Plenary argued that any member of UDF had rights due to every member under the party constitution. The attitude of the chairman angered the plenary which called for disciplinary action against the chairman for arrogance, insulting and dismissive language and disrespecting attitude towards fellow party members and the meeting. Plenary resolutions were read out and approved. Members demanded the signatures of the party leader and chairman be appended for purposes of a press release. Despite having raised no objection to the resolutions, the chairman refused to sign. Pleas were made to the chairman to no avail. The heated session dragged into midnight with the chairman being accused of a history of sabotaging party decisions by refusing to sign documents. He was accused of using the signature to blackmail the party. It was only after a passionate plea by NEC member that the chairman assured members he will sign but to first the matter be left to privately consult the party leader with a few NEC/political council members. To the utter shock and disbelief of participants and sponsors, the next morning sessions began with the announcement that the chairman had not only walked out on the party leader the previous night having not signed the resolutions as promised but had also abandoned the retreat and driven away at dawn. Those who met him at night reported an intransigent chairman vowing never to sign and threatening to “teach a lesson” to some unnamed members. The plenary was appalled terming the chairman’s actions as unfaithful and deliberately intended to sabotage deliberations. This prompted a member of the political council captain Mohammed to rise on a point of order requesting a motion of no confidence in the chairman. The motion for a resolution read; “Given the accusations levelled against the chairman, his deceptive responses and contempt for party leadership and members; a history of actions that sabotage party activities as recorded by the plenary; failing to initiate and constitute thereby usurping powers of party organs under Article 8; dishonesty and deception on party matters; and deceit in refusing to sign party organs’ resolutions and finally absconding today’s meeting; in total disregard thereby exhibiting illmotive and causing disrepute to the party contrary to duties and responsibilities bestowed on him under UDFP constitution 2013 Articles 6, 8.5, 9 and 10.4; members attending the NEC/PC meeting have lost faith and trust in his leadership and hereby pass a vote of no confidence in the chairman. Further, members present appeal for a NEC/PG meeting under Article 8.5 sub-articles 8.5.1 “The party leader shall have oversight authority over the NEC” and 8.5.1(g) and 8.5.2(b) and 10.2(f) to discuss the conduct of the chairman with a view to cause recommendation for his suspension under sub-article 8.5.2(b) and (k) on grounds of gross misconduct, incompetence, insubordination, disrespect of party membership, organs and leadership, causing disaffection and sabotage of the proper functioning of the party”. The members were unanimous that the chairman was in gross violation of party discipline under Article 12.1.2(b), (e) and (g). The resolution was seconded by Hassan Dukicha, MP Galole and unanimously passed for onward transmission for action by PG and NEC.